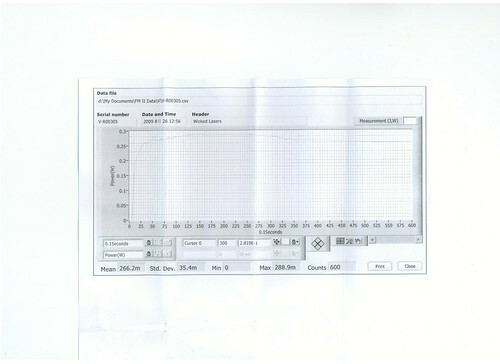 This is a scan of the output graph that was included with my laser. 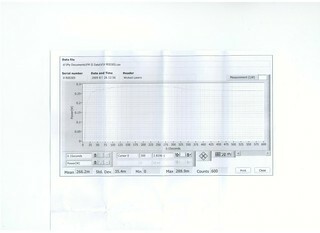 The graph shows the performance of the laser over a one-minute period. According to this graph, the laser has an average output of 266.2 mW and peaks at 288.9 mW. Update: The original photo did not show the graph very well, so I have replaced it with this scanned version. Unfortunately, the actual graph is still somewhat hard to see, though.